I am a front-end web developer who specialises in creating attractive, accessible and intuitive websites and mobile websites and interfaces. This web site is for showing my portfolio, introduce myself. These are the latest projects I have worked for. All of the list of my work is in portfolio page. Click a project to see the details and screenshots. Cristian Dior’s jewelry collection “My Dior”. Riche images and Videos. Available on Cross browser and devices. 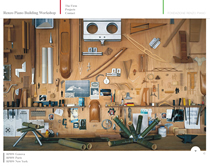 Web site for Architect office one of the most famous architect, Renzo Piano, founded. It's showing their projects all over the world. BNP PARIBAS “Guide des Métiers” is a site of humain resource section of BNP PARIBAS. Web site and E-shop for an Paris based interior design company, TSÉ & TSÉ ASSOCIÉES. French jewerly designer Marie-Hélène de Taillac's web site. Introduction of the designer and the products. 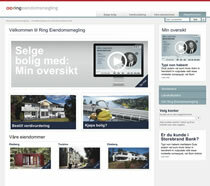 Web site, iPad Web application and iPhone web application for a real estate company. © Copyright 2012 Tomoyoshi Noguchi. All rights reserved.